Are you looking for the best must see bucket list places to visit? Are you looking for an adventure that is more than a trip to the beach? If so, then you must visit Angkor Wat, Siem Reap, Cambodia! 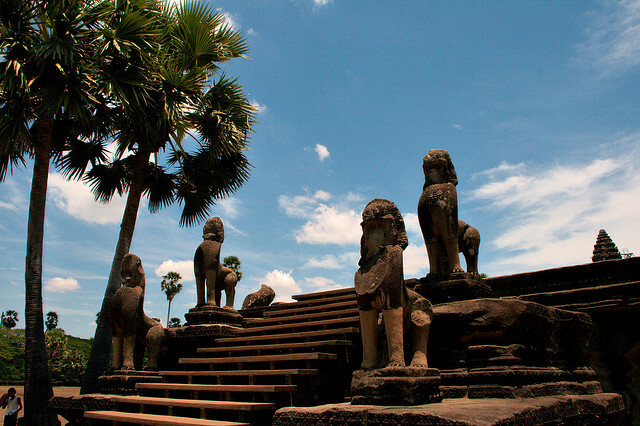 Cambodia is a country full of rich history and has a culture that is truly welcoming and enjoyable. Regardless of whether you are coming from the United States, Europe, or surrounding Asian countries you will enjoy this fantastic country full of adventure. What are the best places to see and the most enjoyable food spots? Take a look at our list below to plan your trip for the best possible experience. 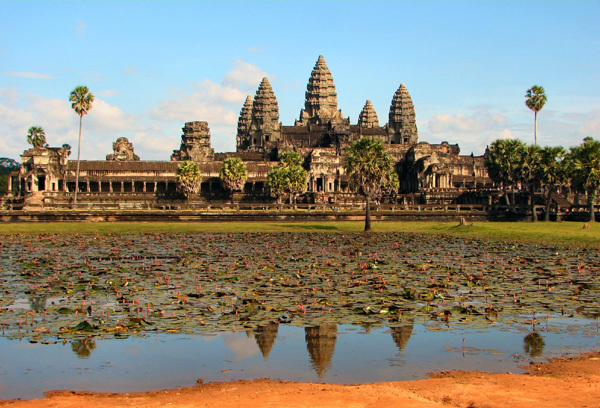 The most obvious place in Cambodia you have to visit is the temple of Angkor Wat. The region surrounding the temple extends for 300km of the Northwestern portion of Cambodia. The structures within the temple area were created between the 9th and 14th centuries and include some of the finest architecture in the world. The Khmer Empire was centrally located within Siem Reap and everything in the providence reflects that reality. The art, architecture, idols, and complexes are breathtaking in their beauty and simplicity. It is truly like stepping back in time when you visit the Angkor Wat temple. Within the area of the Angkor Wat complex new structures have only recently been discovered even though they have been unknown for over 500 years. The beauty and adventure that waits in Angkor Wat is impossible to describe in words and even if you could it would even then be insufficient. There are over 2000 beautifully carved Apsara carvings surrounding the northern most reflection pond, and are a must see. The best time to visit the temple is in the early morning hours just as the sun is rising over these phenomenal structures. Once you’re tired of the gorgeous temples located in Angkor Wat you can head off to the downtown region of Siem Reap and enjoy plenty of western and authentic geared restaurants and bars. Siem Reap has been built up by tourism in recent decades and continues to focus on tourists who come by the millions every year. If you are looking for a place to visit that will provide you with a once in a lifetime experience, then Angkor Wat is your location. Next Article Hash House a Go-Go Is Worth the Stop!